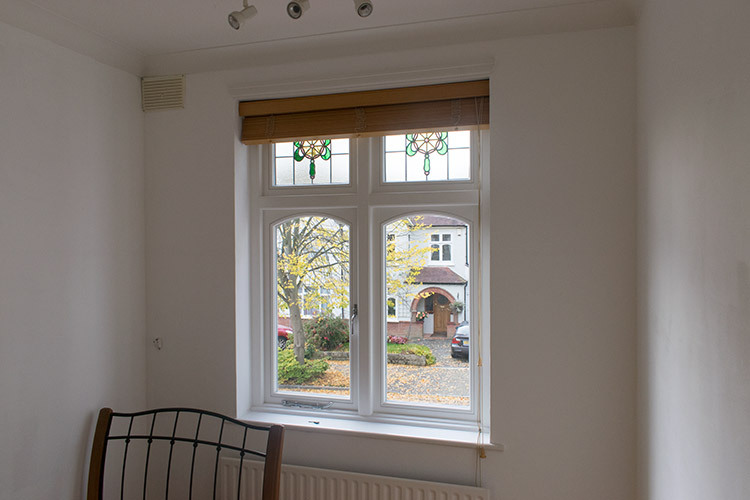 A recent installation was carried out in the Pinner area of north London. 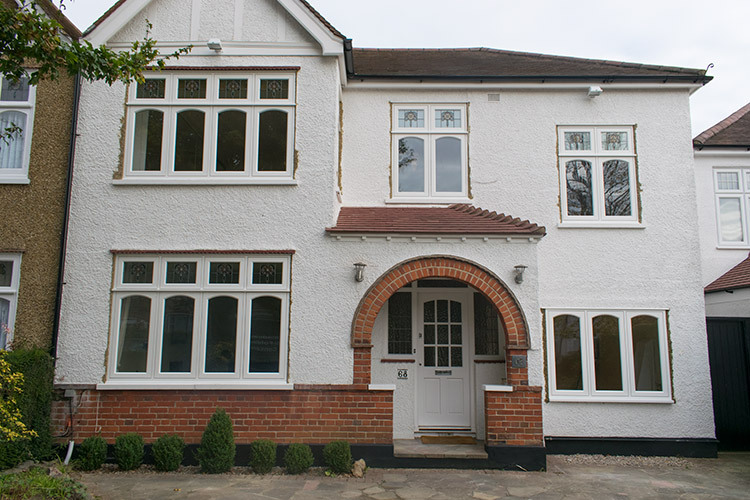 The client was looking to replace the original timber windows with new modern, energy-efficient timber casement windows. 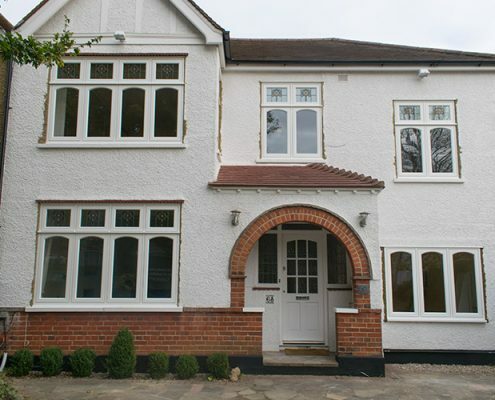 With the windows taking up a large portion of the front the house it was very important for the client to carefully choose the right product in terms of the look and finish, not to mention the thermal efficiency and security. 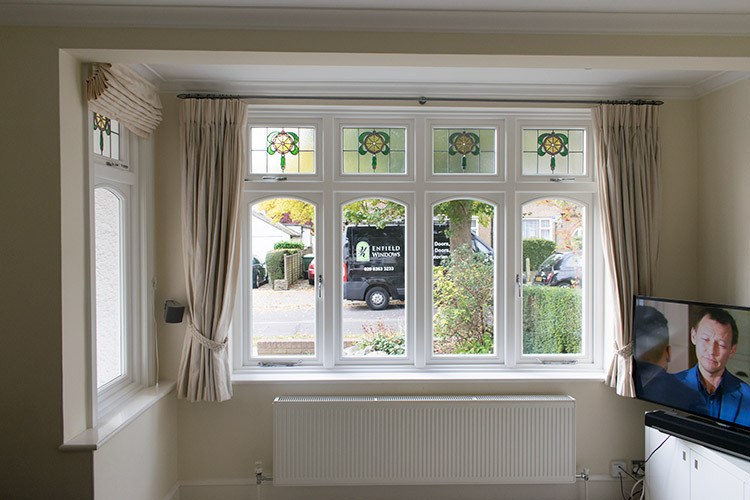 As mentioned in previous blogs, our timber windows are constructed using engineered sustainable hardwood, softwood or oak. In this case, the customer opted for Meranti hardwood. 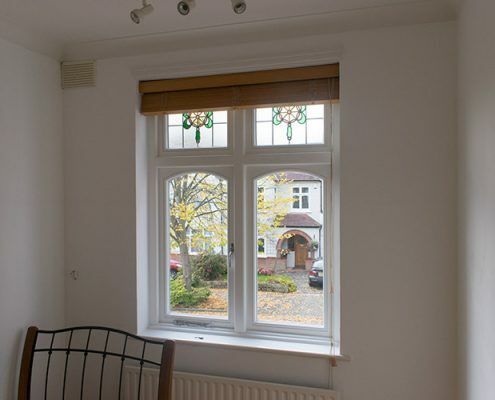 After initial email correspondence, we arranged for our salesperson to visit the property where they went through the windows and project specification in order to provide an accurate and detailed quotation. For the fan lights, the client asked for a stained-glass design. The company we use for all our stained-glass work is one of the best producers in North London. They can replicate any original design using traditional methods, creating flawless designs. You can also visit the workshop to go through the various colour ranges available. After the project cost was agreed and a contract signed, we requested an initial 25% deposit and the survey was booked in. Before the windows went into final production, copies were sent to the client for approval, showing all the opening configurations and final specifications. The lead time was to be eight weeks, during which time the installation was booked. 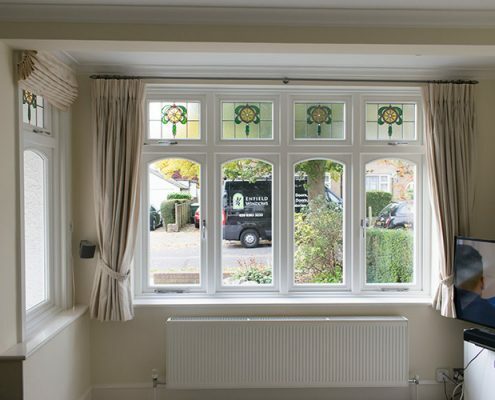 It was carried out over three days by our own skilled timber installers who meticulously removed the windows with as little damage as possible and installing the new ones to a high standard. 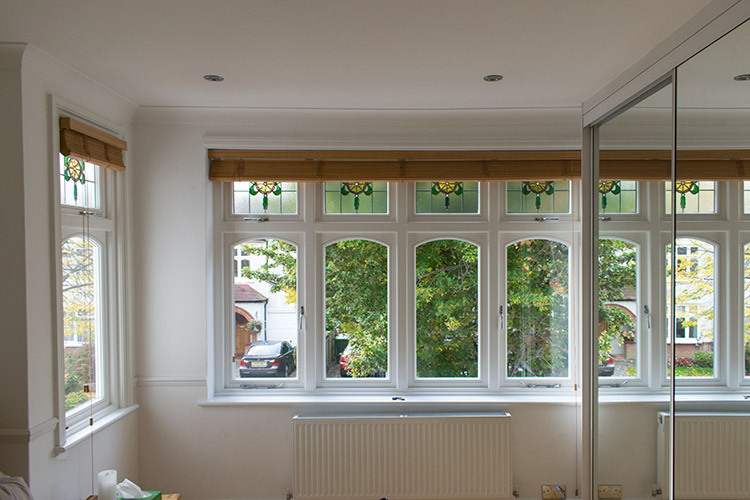 The client was thrilled with the new windows and the stained-glass finish. 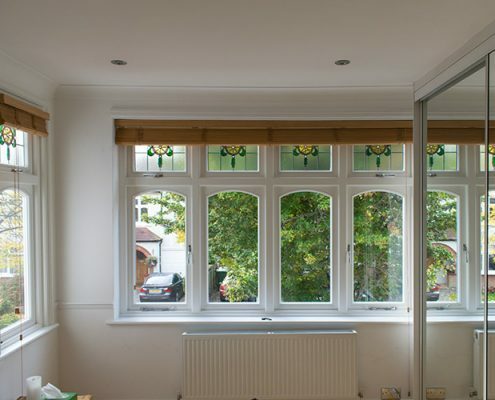 For more information please visit our showroom where we have many timber products and stained glass samples on display.